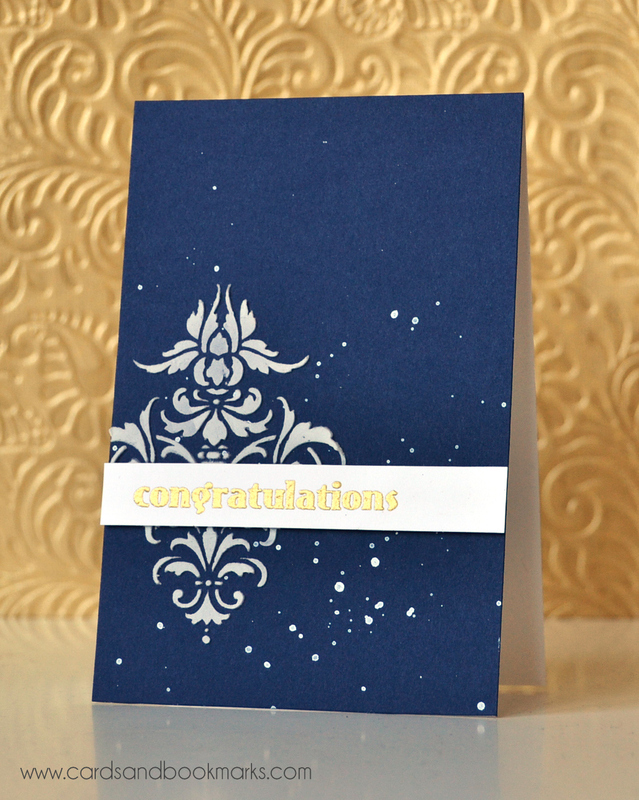 I used a 3 5/8″ x 5.5″ navy card stock for the card front, and splattered some Dylusion’s white linen ink spray on it. Next I used a stencil and some white embossing paste to create the damask image. Once it was dry, I adhered the sentiment strip on top using foam tape in places where there was no embossing paste. 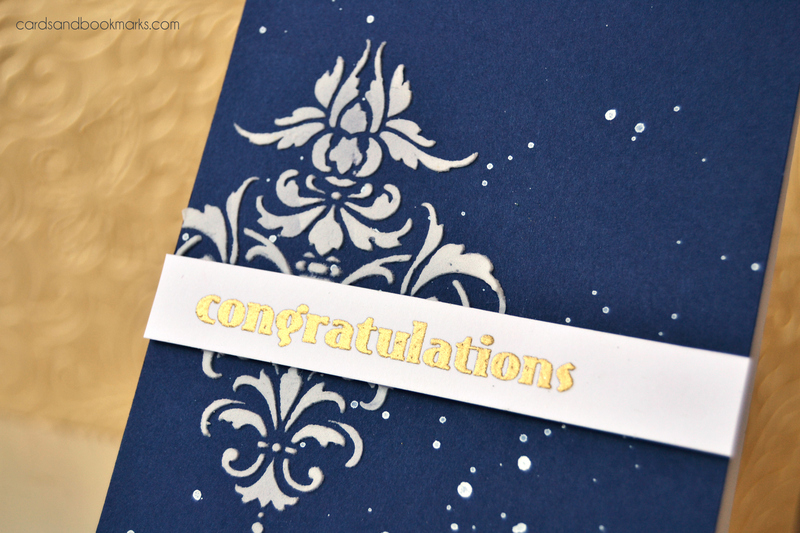 The sentiment is from Altenew’s Faux Veneer set, and it was stamped with Delicata gold ink. If you haven’t already, do stop by the Runway Inspired Challenge blog for more inspiration from the amazing design team. They have created some gorgeous cards! Our sponsor for this challenge is Ellen Hutson, and the winner will receive a $25 gift certificate to her online store. Make sure to play along! I think the damask image exceeds anything a bird design would do. The embossing paste gives contrast against the dark ground while remaining flat. Beautifully done. As always. Love it! That damask is gorgeous against that dark background and the metallic sentiment panel is the perfect icing on the cake. So striking and elegant! I love the bit of splatter and the gold embossing! that spatter is so perfect! Exciting thing is I have this stencil – yay!